This post is to remind all parents that swimming lessons start next Thursday afternoon (4th February). They will continue until Thursday 21stApril. At this point, I would like to say another massive thankyou to Julie for transporting the class to the Aquadome on the community bus for the last two years. It saved the school an enormous amount of money. However, due to the increased size of Team Daviot, the SCATA bus is no longer big enough. Therefore, we will be travelling with a local bus company. All costs will be covered by the school fund, and I will not be asking for any donations this year. The pupils will leave school at approximately 12.50pm. They begin their lessons at 1.30pm. All children will be taught by qualified instructors – not by teaching staff. Parents are welcome to sit in the viewing section of the Aquadome if they wish to attend the lessons. Please ensure your child brings their costume/shorts, a towel, shampoo & conditioner and their own hairbrush. A post-lesson snack and drink is a good idea too. For some parents, allowing your child/children to attend swimming lessons at school will be a new experience. Therefore, if you have any questions or concerns, don’t hesitate to get in touch. For copyright purposes… the artist who created the banner above was…. Daniel! This entry was posted in Uncategorized on January 28, 2016 by daviotblog. 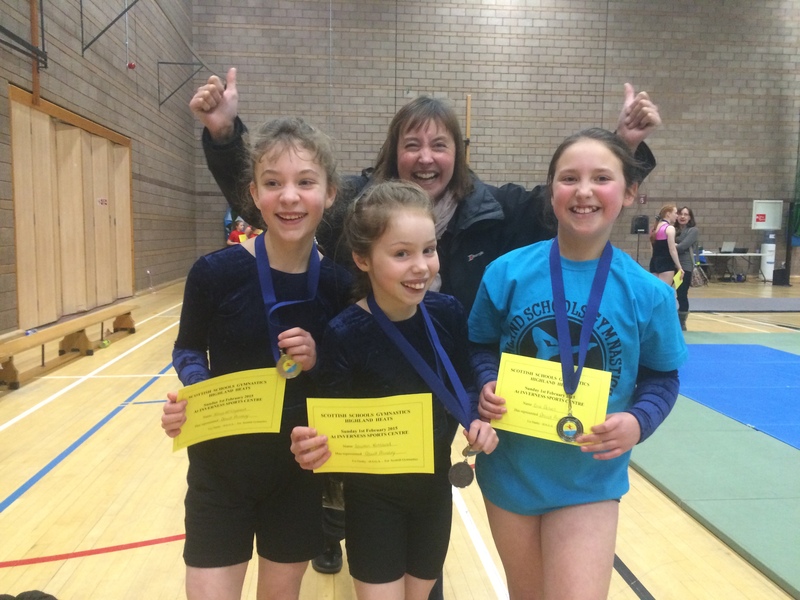 I would like to remind all parents of pupils participating in the Highland Gymnastics Competition that the date of the regional heat is Sunday February 7th (at Inverness Sports Centre). I will post more details a bit nearer the time. I would also like to remind you that Louise will be visiting school tomorrow lunchtime to give the girls an additional coaching session. She will also be in on Monday lunchtime next week. Please remind your children to bring their leotards into school on those days. Thanks for your support. This entry was posted in Uncategorized on January 27, 2016 by daviotblog. I am pleased to announce that Lauren and Evie will be taking part in the Blythswood Enterprise Challenge, which takes place from February 10th to March 10th. This home-school project will provide the girls with an enterprise activity which is interesting, challenging and competitive. This year schools have the choice of one of three projects to raise funds for; 999 Project, Orphaned Children in India or Talita Kum After-School Project in Romania. Our team will be given £20 and asked to “make it grow” over a four week period. The team will be required to submit a report outlining how they used the £20 to raise the money. The judges will be assessing creativity and team work, as well as the contents of the report and the amount that has been raised. From the reports, the judges will select the schools who will be asked to make a presentation at the final in May. Good luck, girls. I know you will do us proud! Please see the attachments below for more information. I am pleased to say that the HC Tree Surgeon finally arrived this afternoon, and thankfully, he cleared us to return to the classroom tomorrow. He will be visiting the school over the next couple of days to fix the problems. Until then, I would encourage parents to continue to drop their children off at the side entrance – and to avoid parking by the trees. I would like to say a big thank you to Josh (and Josh’s Dad) for sharing his amazing fudge with the rest of Team Daviot today. It was delicious! This entry was posted in Uncategorized on January 26, 2016 by daviotblog. 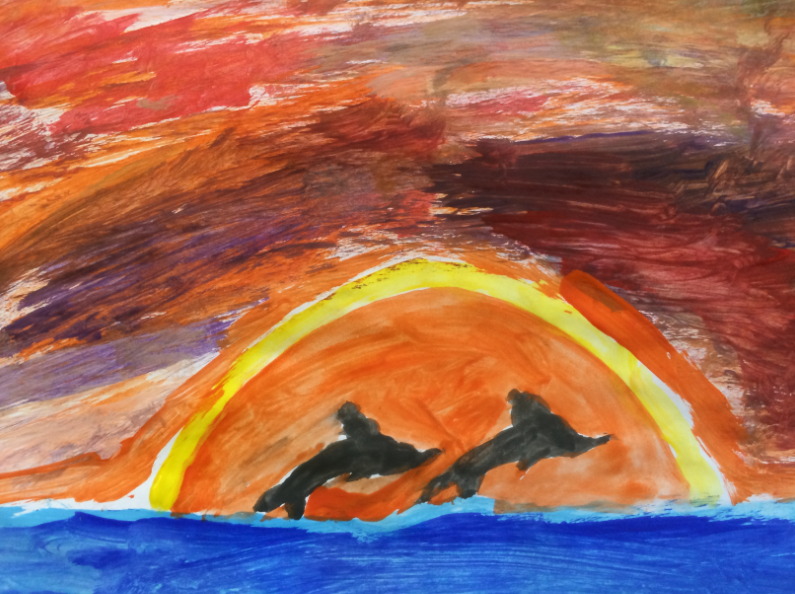 I love this picture that Jake and Katie created together… it was titled BFF: Best Friends Forever!